Each of our 3,800 students brings their own voice to UNC Asheville, so we focus on listening. 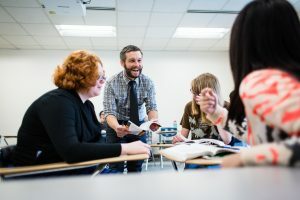 From the personal connections you’ll make with faculty to a curriculum you can customize, we help you connect the dots between your interests, academics, and experiences outside the classroom so you can create the future you want. That’s what makes UNC Asheville one of the nation’s top-ranked public liberal arts universities.